We hosted our second team of the year; a group came to visit from The Rock Church in Boone, NC. 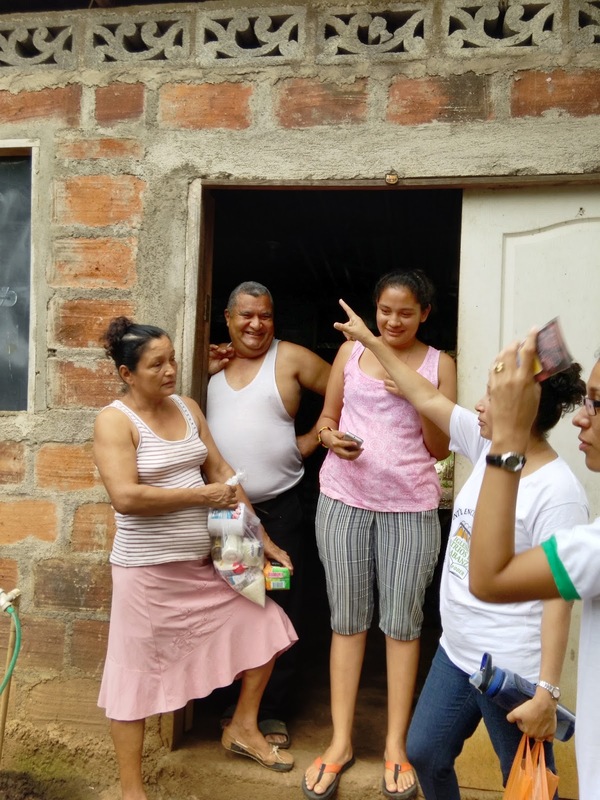 The purpose of the visit was to get to know one another and see if the work we do would be something that they would want to support and become involved in. We prepared an itinerary for them of events with one important stipulation. They needed to be prepared to be flexible to embrace last minute change. You see, we were on baby alert. 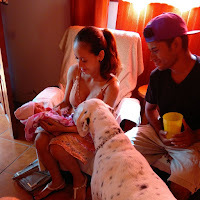 Our chef and Nica son, Jack Noel, was about to become a daddy and it very well could happen during the team's visit. Everyone was on board and in fact excited because they wanted to see the expected baby. We had activities everyday, but we are always careful to not overload a team. They come very excited wanting to do everything that is possible and all too quickly, they begin to run out of energy. No matter how many ways we try to prepare them they just do not take us seriously. It has never failed, every team will start to dissect the schedule and want to drop activities and events because of exhaustion. The heat is intense here, the teams have not had time to adjust to the travel, and the cultural difference can be overwhelming. 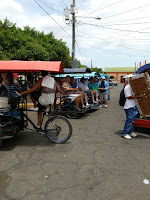 To overcome jet lag, we had a day of fun by taking a tour of the city in tricyclo taxis; this proved to be a big hit. We packed bags of supplies to hand out to residents in two communities. 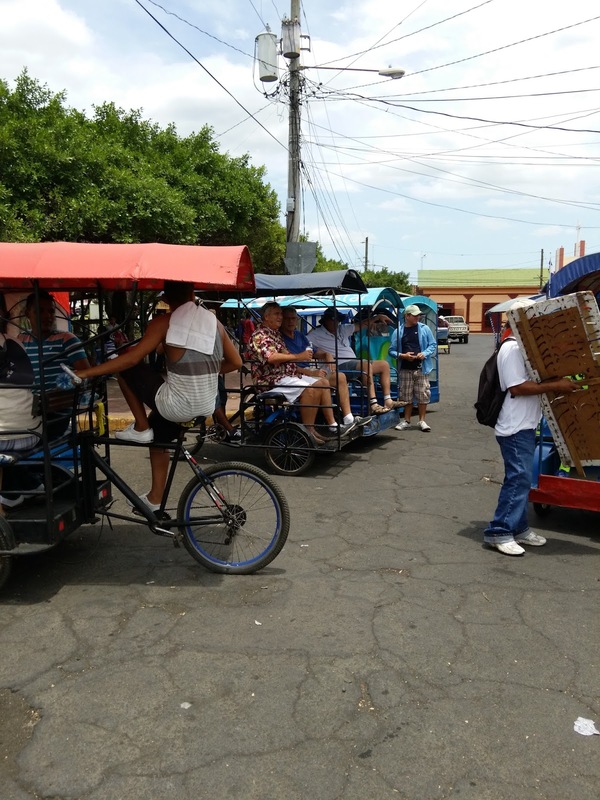 We took them to communities to see how people lived outside of the larger cities. The team did a service project to install a patio at the building we were going to use for a school, but now is being used by Pastor Santiago. It was really humid and hot during the patio installation so a trip to the Pacific Ocean for dinner and watch the sunset was really enjoyed by the group. They did a discipleship training for members of a church and held a youth event at another church. The team visited a rehabilitation center outside of town to encourage the men at the center as well as former residents and their families. 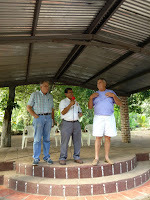 The pastor was the guest speaker at the church in El Paraiso. His heart is working with pastors and a very successful meeting was attended by 25 pastors from surrounding areas. 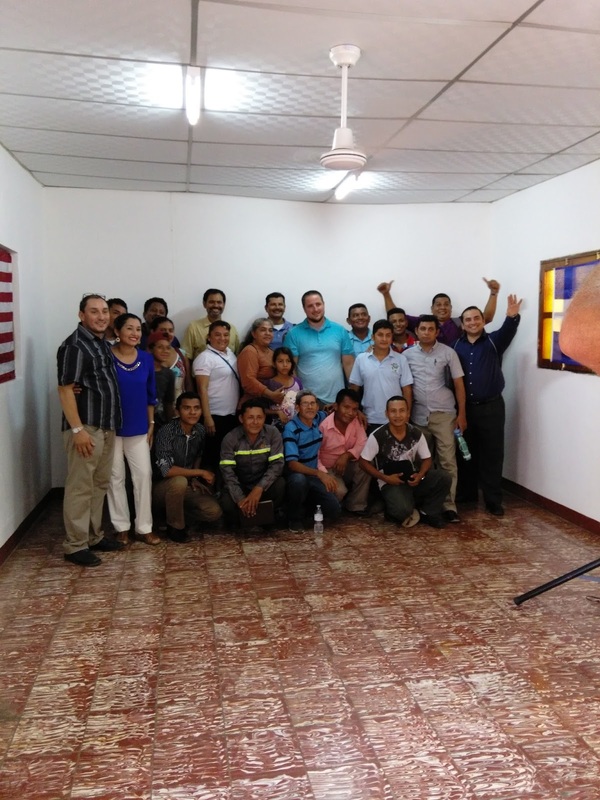 Pastor Michael was able to encourage and pray individually with each and every pastor. This team hung in really well and as we wound down the week, the baby decided to make her entrance. I, Sandra, went from being host and tour director to chef in a flash. We were scheduled to feed dinner to approximately 50 members of Pastor Santiago's church and community members. 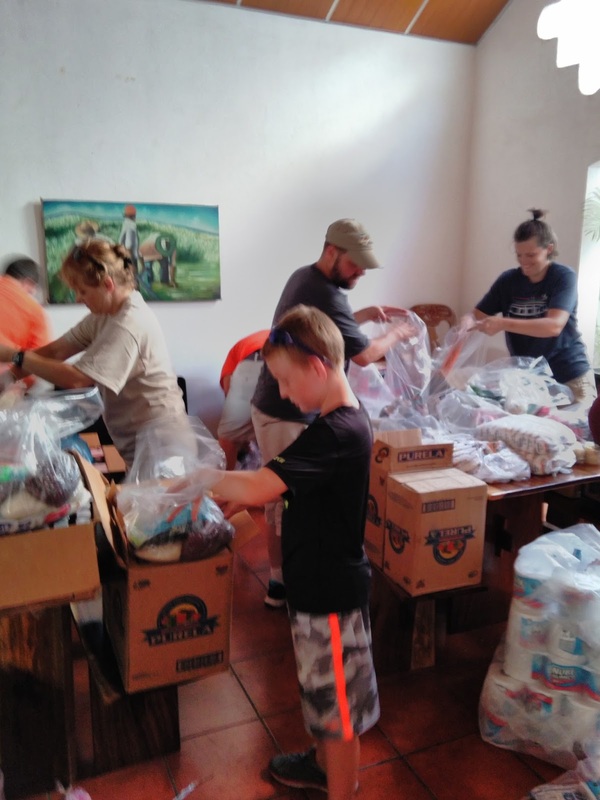 This event was important to the church and we did not want to disappoint. The team made my job particularly easy for the remainder of their visit by insisting that their meals would be eaten in restaurants. Team visits are important and we always look forward to receiving American guests. But the week's events are exhausting for everyone. It takes us a day or two to recuperate and then we must play catch up on our work that had been put on hold.